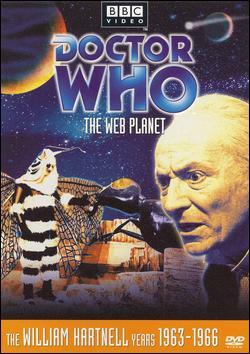 After being forced to land on an unknown planet, the Doctor and his companions find themselves in a struggle for control between two waring alien races. I honestly don’t know what was up with this episode. The sets were pushing taste and the plot lines seemed far too long. If this had been a four-part episode, I might have liked it but I felt bored throughout the entire sequences. Granted I’m saying all of these from a modern perspective. It might have been different for a six-week run. I just couldn’t get into the storyline. I’m not happy that my review is small but this episode inspired nothing for me. This might change later when I have an opportunity to read the novelization. Apparently, according to the small featurete that I watched, the episodes were very popular with audiences. It also mentioned the poetry of the writing in this episode. This might be one of those cases in which I don’t fit the demographic for the intended audience. The ring the Doctor wear is a key to open the TARDIS doors when the power was out.